Largest Cov­ered Bazar in the Mid­dle East, a photo by tf_82 on Flickr. 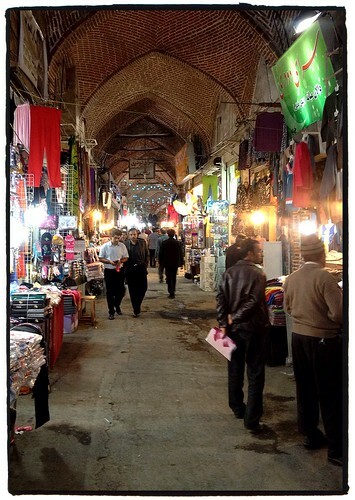 > Unlike Istan­bul, the Bazar did not feel like a huge tourist trap. Peo­ple were going about their daily busi­ness, and tourists were their guests…not their tar­get. Appar­ently it is over 7 KM long. 7 km de “bazar”, chez nous , pour mar­quer l’étonnement, on dit “quel bazar!!!”. En tout cas, un fameux marché public..